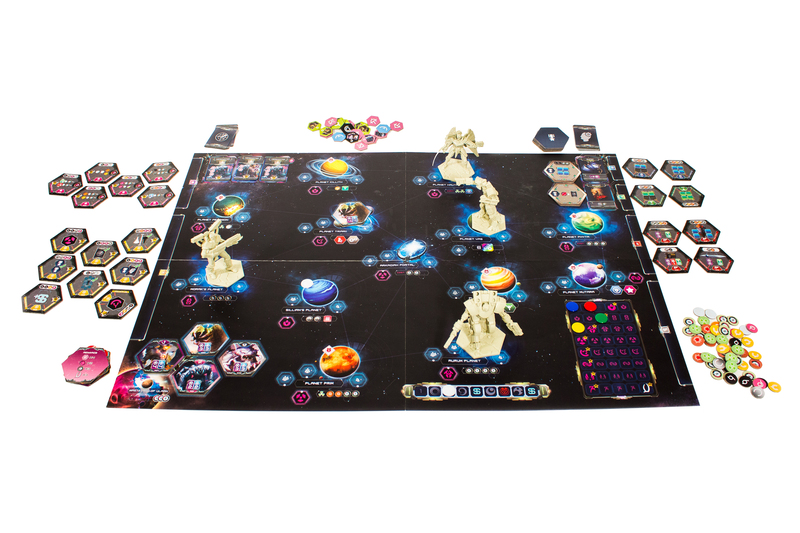 Galaxy Hunters is a highly thematic, euro-style board game for 2 to 4 players. 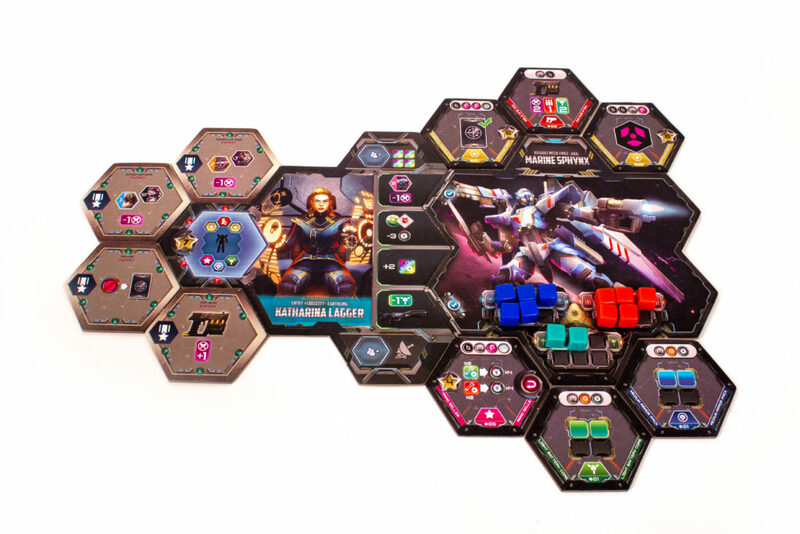 Blending tried-and-true euro gameplay with massive miniatures, incredible art, and character upgrades often found in dungeon crawlers, Galaxy Hunters is a unique board game experience that gives players multiple impactful choices each turn, as well as a sense progression that develops over the course of the entire game. Players will need to upgrade their mechs with more armor, new weapons, and ammo and energy pods in order to defeat the constant barrage of the deadly mutated monstrosities spawning from the heart of the devastated planet Ulaan! Players earn victory points by earning skills for their pilots, upgrading their mechs, perfecting their mechs’ build outs, completing missions, and earning reputation with the galaxy’s different factions. 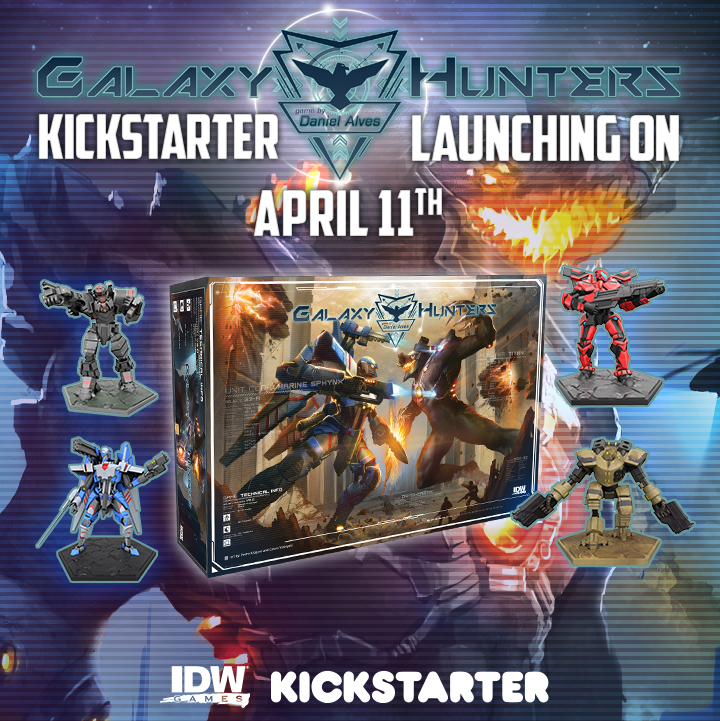 While there are many options, there is no single correct path to victory in Galaxy Hunters. Players are encouraged to develop their own style of play in order to generate more victory points than their opponents. The player with the most points at the end of the game wins! ← The X-Files: Conspiracy Theory – Everything Is Connected Is Available Now!